AARP Tax-Aide volunteers will offer tax preparation and assistance to seniors and low to moderate income taxpayers on Mondays and Fridays through April 10 from 9 a.m. to 2 p.m. Appointments are necessary and may be made by calling 630/887-8760 ext. 239 or in person at the Adult Ask Us Desk. AARP Tax-Aide volunteers will provide free tax assistance to seniors and low-to-moderate income taxpayers at the library on Monday and Friday mornings starting Feb. 12 and running through mid-April. Appointments must be made by calling 630/887-8760 ext. 239 or in person at the Adult Ask Us Desk. The library will also have a limited number of paper tax forms (with instructions) for distribution. 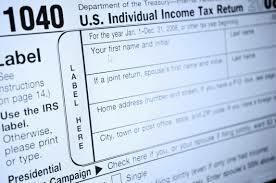 Federal forms include 1040, 1040A, and 1040 EZ. Illinois forms include IL 1040 and Schedule ICR. Staff at the Ask Us Desk will print other forms for patrons. The first 10 pages are free, and additional pages are 10 cents per page. The second copy of any form will also cost 10 cents per page. For those preparing their own returns, we have the latest tax preparation books, as well as instructions on how to order any necessary forms. Looking for a rewarding opportunity to make a difference in our community? The AARP Tax-Aide Program is now seeking volunteers for the 2014 tax season. You don’t have to be an AARP member or have an accounting or tax background to volunteer. It is important to be somewhat familiar with income taxes, for example, by having prepared your personal income tax returns, and to be computer literate since all returns are prepared on the computer. Income tax preparation and assistance is offered free of charge to low and middle income taxpayers with special assistance to those 60 and older. To volunteer, visit aarp.org/taxaide website or call 1-800-227-7669.